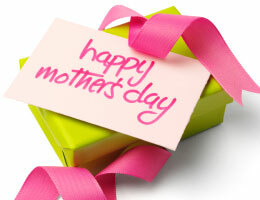 World-over Mother’s Day is celebrated on Sunday, 13th May, 2012. Mother’s Day is that special occasion when we celebrate mothers for all the wonderful blessings that they bring to our lives, for all those untold everyday sacrifices and for the most unthinkable but caring gestures that make our lives so much easier and better. This is the perfect opportunity for us to make the effort to show our love and appreciation to these fabulous women in our life. Give them flowers, give them treats, and make sure you also give them the priceless gift of a start to a healthy living and future! USANA has dedicated this month of May to celebrating the special women in our lives, with a special focus on their health. With this focus USANA has chosen PhytElleTM, USANA’s formulation for women, to be the Product of the Month (May 2012). So what is PhytElle all about? Hormonal ups and downs are a fact of life for women of every age and every walk of life commencing at puberty and are heightened pre-menstrual, during the menstrual period, post menstrual and during the menopausal period. Most often these hormonal ups and downs are not made much of, but did you know that an estimated 80% of Australian women experience one or more recognised monthly symptoms including tiredness, irritability and many more. USANA’s Product of the Month – PhytElle is a superior formulation that supports women’s health during those menstrual years and menopausal phase of life, offering relief from symptoms associated with PMS and menopause. Two of the other health concerns that women have and constantly worry about are: Heart health and Skin health. So why not gift them with a heart health or skin health care package this Mother’s Day? USANA is hosting Mother’s Day Specials on CoQuinoneTM, USANA’s formulation that supports heart health and energy production, and Blanc BalanceTM Brightening skin-care products, offering 6 exceptional benefits to the skin including : brightening, evens skin tone, firms, whitens, nourishes and moisturises skin. Take your pick of a pack that will pleasantly surprise your mum! We know that every mum on this planet is as busy as a bee, and to keep up with all that she does and needs to do, she needs as much nutrition as she can possibly get to keep her fuelled and going. It is well established that the nutrients we receive from our daily diet is insufficient, and supplementing is important to meet our everyday optimal nutritional needs. And very often this question arises in a health-conscious woman’s mind: What’s the best nutritional supplement regime for me? USANA’s everyday foundation supplement recommendations for women include: EssentialsTM, BiOmegaTM III, Proflavanol® C100, Active Calcium PlusTM, PhytElle and FibergyTM Plus. Get your mum started on a healthy nutritional regime for life TODAY! Give her a head-start on a healthy life this Mother’s Day – it’s the best gift you can ever give!